This Error Message Article explains the BarTender error message “BarTender: Error Message #3752 The following error was enountered while encoding the barcode object “[Name of Label Object]” with data “[Invalid Text]”: Encoding Error: The selected symbology does not support the following characters “[Specific Invalid Characters in the Invalid Text]” and details how to fix the underlying problem that caused it to appear. 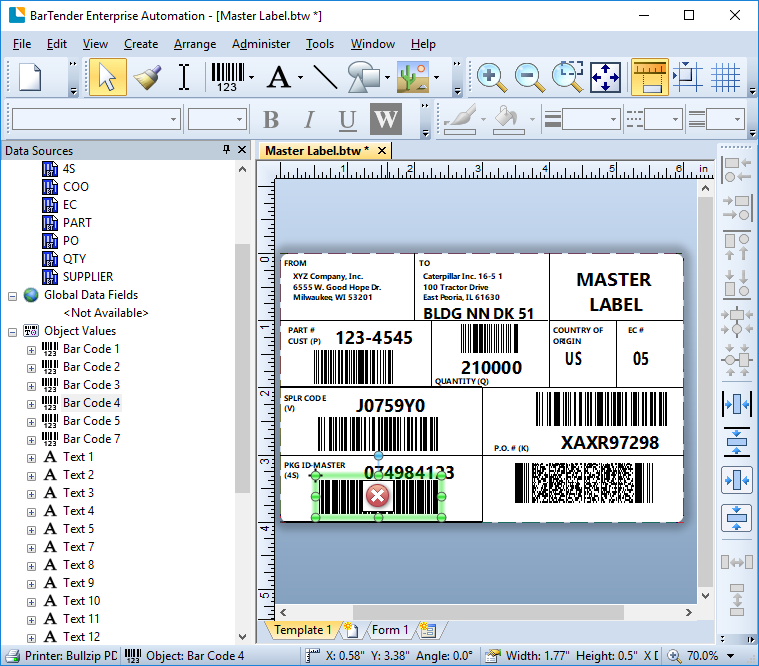 The data values inserted into the barcode on the BarTender label design are invalid. They do not match the rules of the barcode symbology. In this case, lowercase values were used to encode a Code 39 Regular label. 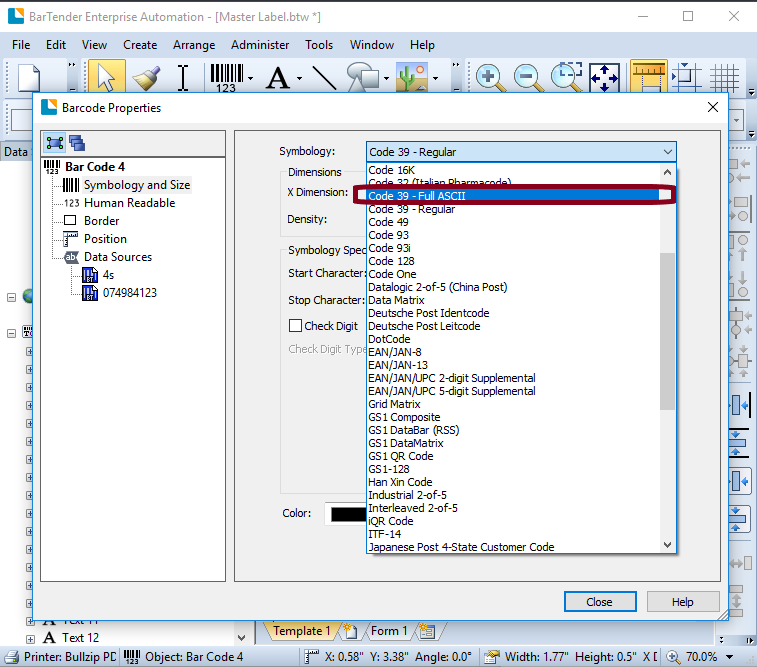 The image below shows a red error symbol (red circle with white x) indicating the location of the barcode encoding problem.